Mark and I have had a couple busy days in the beautiful warm weather! Monday Mark was busy playing with the tractor and dragging up trees to cut. Then we took a trip to Bremerton and Belfair to pick up supplies for roofing the chicken coop and shed. And I needed a few things for the coop. Of course we had to stop and have lunch and a beer! We had a great time stopping at the Goodwill and also the Habitat for Humanity store. Tuesday was a busy day out in the sun and building the roofs. Shiloh enjoying the shade in the garden. The roofs are done! I worked on getting some straw in the coop and some mulch in the run area. Then Mark helped me put up my chicken feeder and the two watering tubes out in the run! We had unexpected neighbors come for a visit today to check out the progress on the yurt and to see the baby chicks. It was good to see them. TODAY! Another busy day in the warm sun. Mark decided he wanted to build a gate at the top of our driveway. 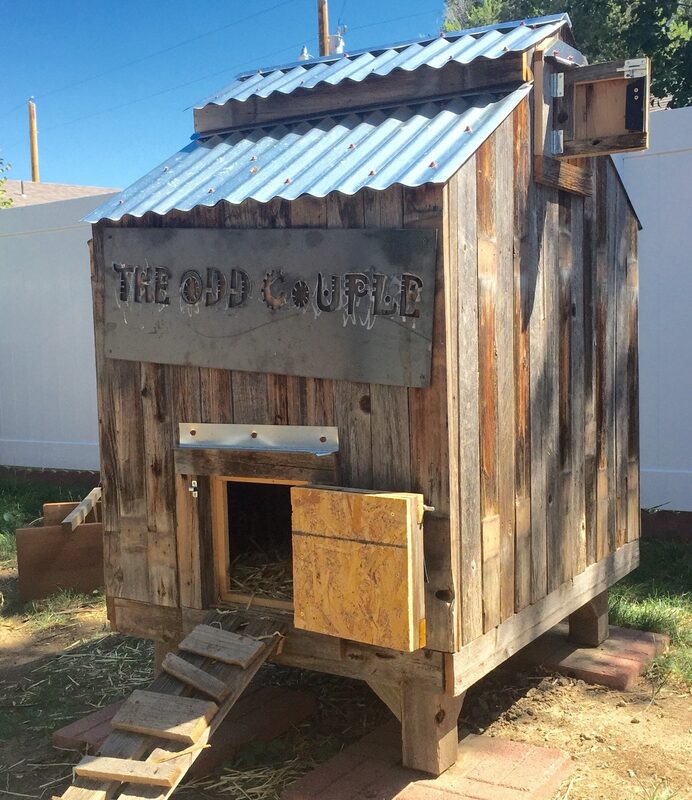 Then we put the rolled roofing on the coop and shed. Whew! It looks awesome. Now I need to get some chickens in there! And to end our day, Newman got a bath. Great few days, we are so blessed!